The key enabling technologies of electric vehicles, whether by land, water or air and whether hybrid or pure electric are now at least six in number. They were just electric traction motors, traction batteries and circuitry (see IDTechEx reports Electric Motors for Electric Vehicles 2012-2022, Traction Batteries for Electric Vehicles 2012-2022 and Inverters for Electric Vehicles 2012-2022. For example, the Chinese government has required major foreign participation in its electric vehicle market to involve joint ventures where the foreign company surrenders intellectual property in one of these key enabling technologies and settles for a minority shareholding. From now on, we should add at least three more key enabling technologies. They are energy harvesting Energy Harvesting for Electric Vehicles 2012-2022, range extenders (Range Extenders for Electric Vehicles 2012-2022) and supercapacitors (Electrochemical Double Layer Capacitors: Supercapacitors 2012-2022). For example, energy harvesting in the form of regenerative braking is now commonplace, as is the solar roof. The equivalent of regenerative braking in an electric boat is the propeller going backwards when moored in a tide or when under sail to charge the battery that powers facilities when it is moored. Soon we shall see energy harvesting shock absorbers widely adopted, starting with viability in large land vehicles such as buses and trucks. Equivalent functions are being used in aircraft (Electric Aircraft 2012-2022), such as regenerative soaring and solar wings and in marine vehicles such as Autonomous Underwater Vehicles (AUVs) which surface to recharge batteries from wave and solar power then continue their mission. Indeed energy harvesting shock absorbers are being considered here as well. The IDTechEx event Energy Harvesting and Storage USA recently took place in Washington DC and with its co-located, Supercapacitors USA) and Wireless Sensors & RTLS USA) touched on aspects of three of the enabling technologies for electric vehicles. Broadly the message was this. Energy harvesting is producing more electricity and costing less, whether at the Microelectromechanical Systems (MEMS) scale or up to large devices in electric trucks and trains. This now has a happy conjunction with electronic and power circuitry using less and less electricity - increasingly, they meet in the middle. All this is relevant to electric vehicles. MEMS are used in airbag controls, tiny tire pressure monitoring systems use piezoelectrics and an increasingly large number of sensors and actuators appear in vehicles, particularly electric ones, all needing energy harvesting, ideally. Often what is done in offices is a precursor to what is done in vehicles. It was therefore interesting to hear Intel present on its Personal Office Energy Manager (POEM "sensor based eco-feedback") and to hear one of the big stories of the show which was the EnOcean Alliance increasing its membership by 50% to around 300 in the last year. It promotes building controls, also seen in boats and other applications, that are wireless but without batteries, because multiple energy harvesting is used; photovoltaics, electrodynamics and some thermoelectrics. It does not use piezoelectrics, finding them unreliable, something hotly disputed by others. One neat new product was an actuator adjusting a valve according to radioed feedback by using thermoelectrics as shown below. Given that electric vehicles must be "born electric" and rethought in every detail to continue their rapid market penetration (cars excepted), wireless technology and energy harvesting will be much more widely employed. Later, car technology will catch up. Karl S. Young of Advanced Electronics Energy, Ltd. (AEE) and Extreme Capacitor, Inc. (ECI) addressed "Electric Airplanes Using a New Generation of Supercapacitor and Li-ion Batteries". Quoting the legendary Elon Musk of Tesla electric cars "If I were to make a prediction, I'd think there's a good chance that it is not batteries, but capacitors", he described his early work with X-CapTM a "double-layer capacitor" (supercapacitor also known as ultracapacitor) using carbon nanotubes and graphene nanoribbons which he predicted would eventually have higher energy density than lithium-ion traction batteries. Other companies using graphene or carbon nanotubes in supercapacitors either presented or attended and there was a lively debate as to what will be possible and when. In the meantime, it is clear that companies such as Skeleton Technologies in Estonia and OptiXtal in the USA have impressively improved product on sale and Paper Battery Company - despite its name, making a plastic laminar supercapacitor - will lead us to many new formats such as transfer printed supercapacitors. One day, that may form part of the trend to structural components and smart electrical skin in and on electric vehicles. Today, we have the Alternair electric aircraft idea involving suopercapacitors, for example, which formed part of the Extreme Capacitor lecture. Karl dreams of his 140 kWh supercapacitor packs being part of the Volta Volare GT4 shown below. IDTechEx shared some of the research for its new report Supercapacitor/Ultracapacitor Strategies and Emerging Applications 2013-2025. Most of the world's supercapacitor manufacturers were investigated and it was found that the claimed successes by applicational sector and the focus for the future are very different, with electric vehicles becoming the dominant application of supercapacitors. They have already replaced lithium-ion batteries in MAN urban buses, Bombardier train energy harvesting and some Formula One cars for example. IDTechEx believes that the two largest emerging sectors - vehicles and grid-related - will largely involve big companies selling to big companies and there will be an industry shakeout to address this. 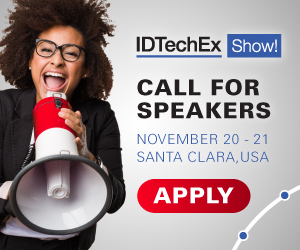 Nevertheless, IDTechEx sees many niche opportunities for smaller manufacturers, not least in electric vehicles by land, water and air. For example, supercapacitor manufacturer Ioxus described Automatic Guided Vehicles (AGVs) where supercapacitor traction batteries make much more sense than rechargeable batteries with shorter lifetimes and worse reliability. Ioxus also described the retrofit of existing Class 2-8 commercial trucks and vans (which cause more global warming than cars) with an ultracapacitor-based, braking energy recovery system. This system allows truck users to recover and reuse energy previously wasted, increasing vehicle miles per gallon MPG by up to 30%. IDTechEx research shows the number of supercapacitor manufacturers currently active in sectors and the number of others that are intending on targeting certain sectors. Source: IDTechEx Report Supercapacitor/Ultracapacitor Strategies and Emerging Applications 2013-2025.